Jan must be a Texan at heart. 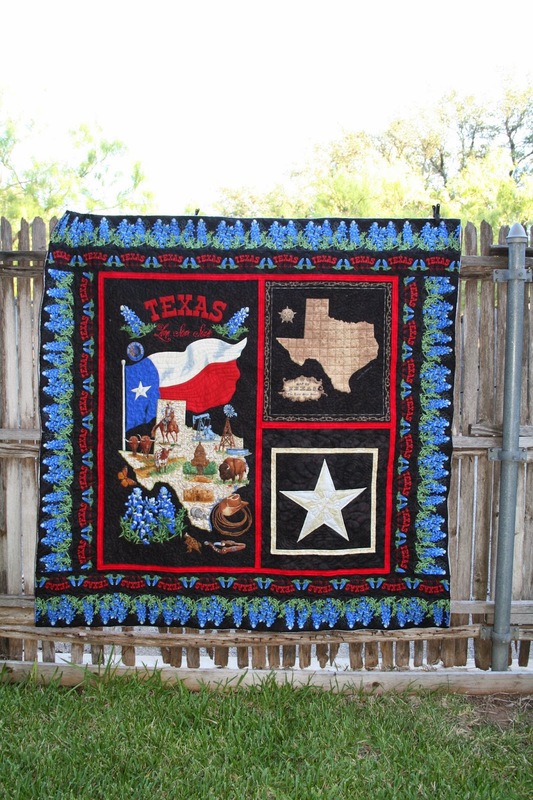 She actually lives in Washington but she always does Texas quilts. Gwen made the beautiful wall hanging. 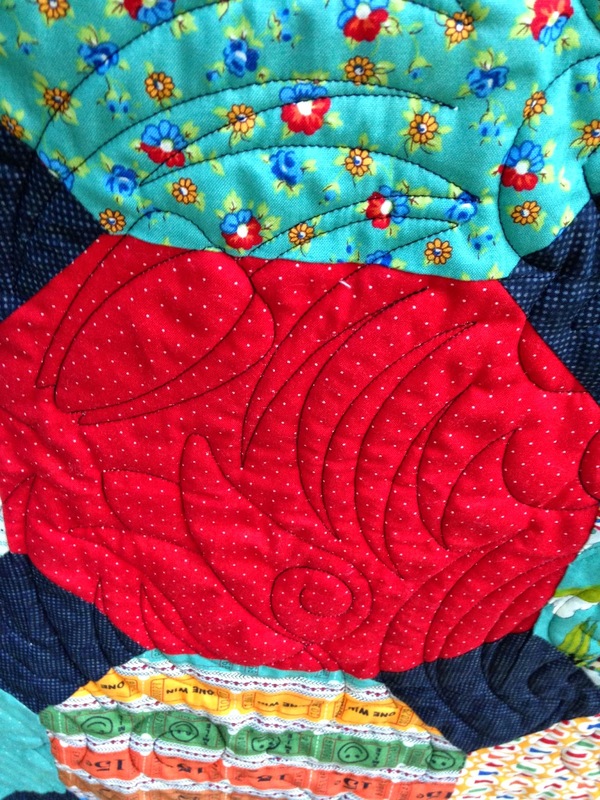 She does amazing needle turn appliqué. 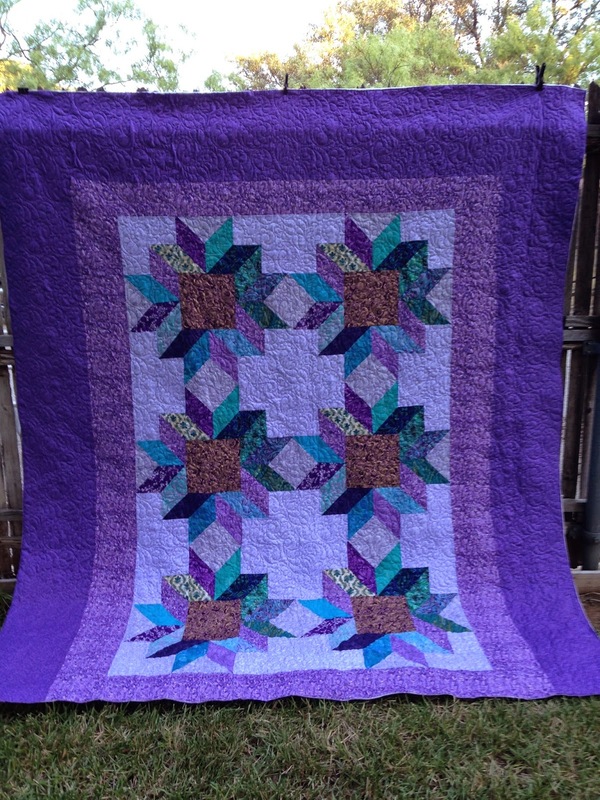 Jan made this beautiful star quilt. 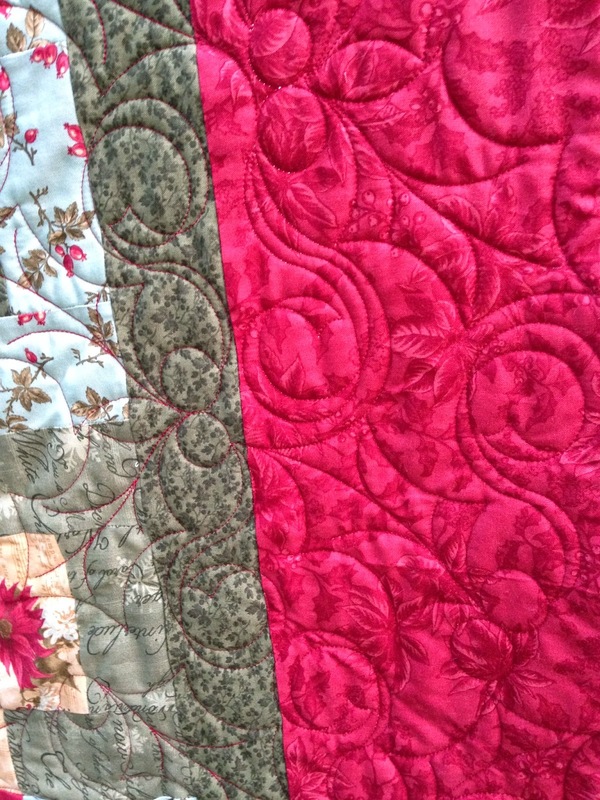 One of my favorite edge to edge designs is the pattern from Wasatch Quilting called R & R E2E nested. I love the feathery, pearly motion of it. 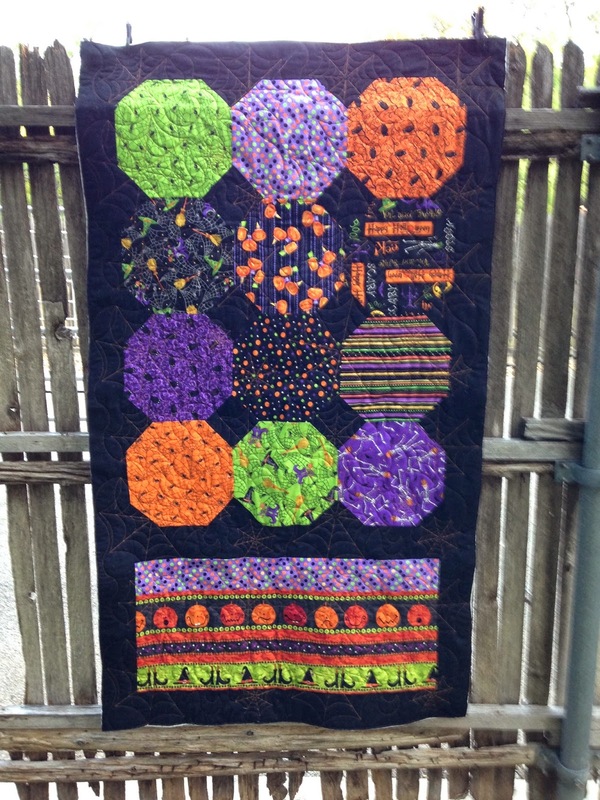 Kathleen has been busy with the next 3 quilts. A cute Halloween wall hanging. 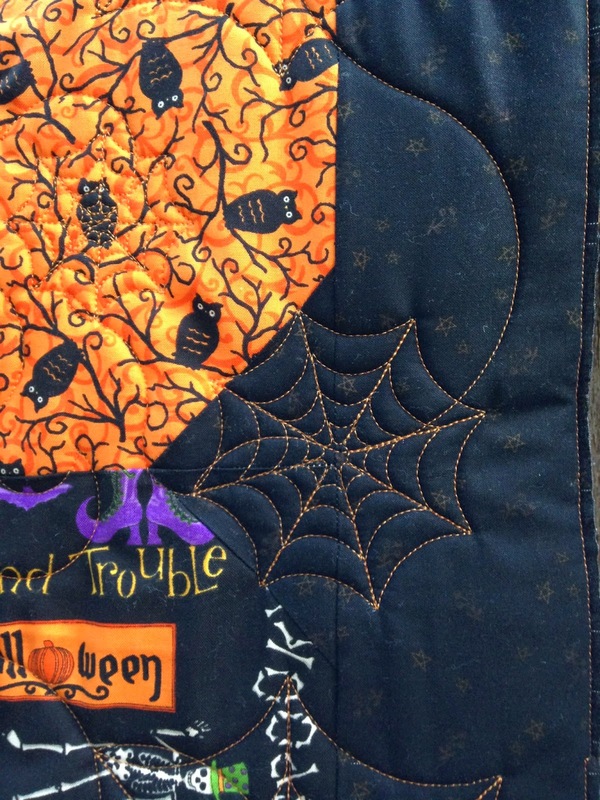 And spiderwebs are quite appropriate for this Halloween quilt in Neon Orange thread. 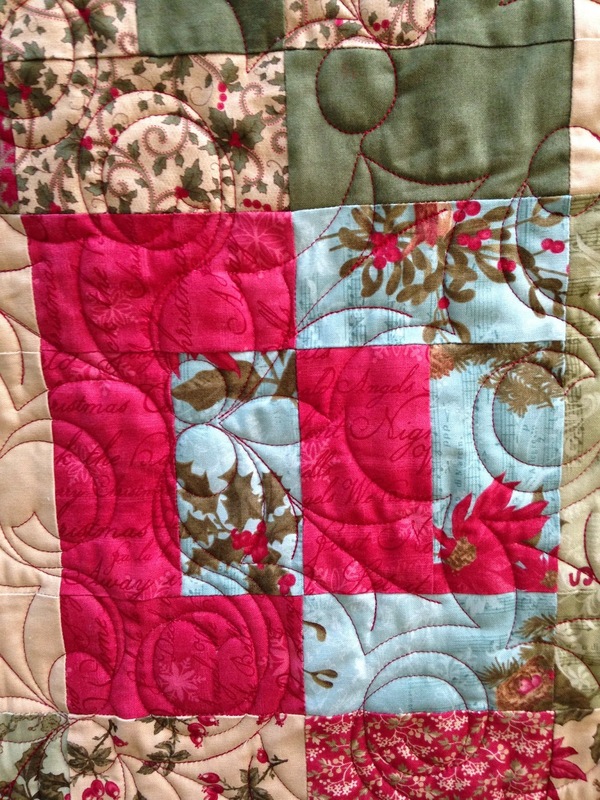 I love the oversized snowball blocks Kathleen used in this quilt. 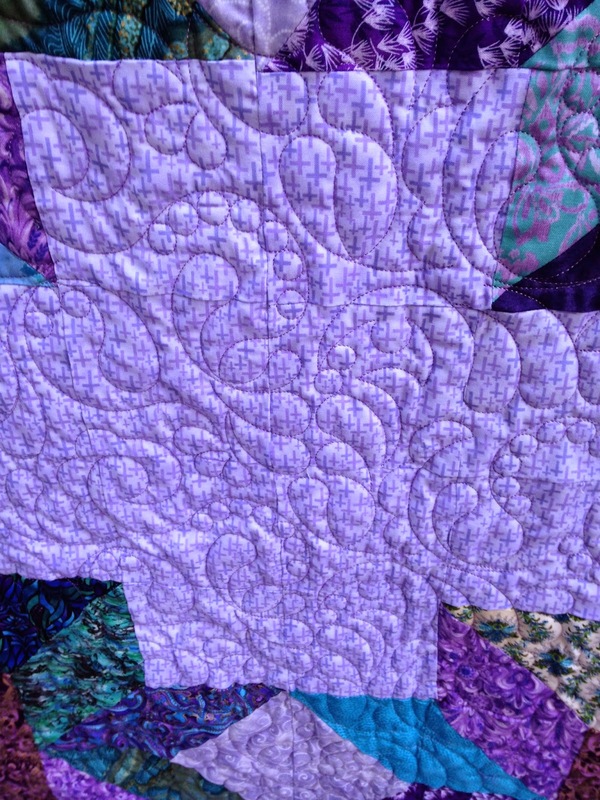 I quilted tulips damask E2E in black thread. 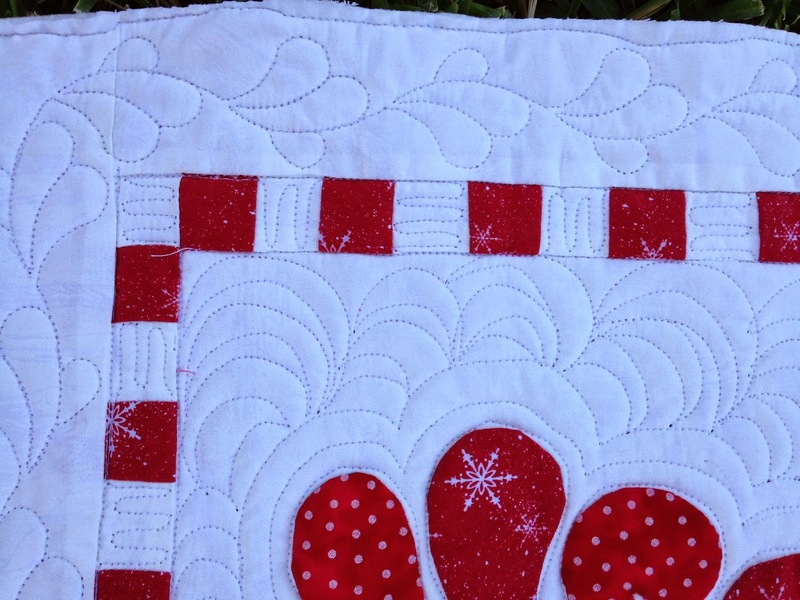 A bento box pattern using a jelly roll in Christmas fabrics. A nice oversized throw. Holly in candy apple red thread for this one. 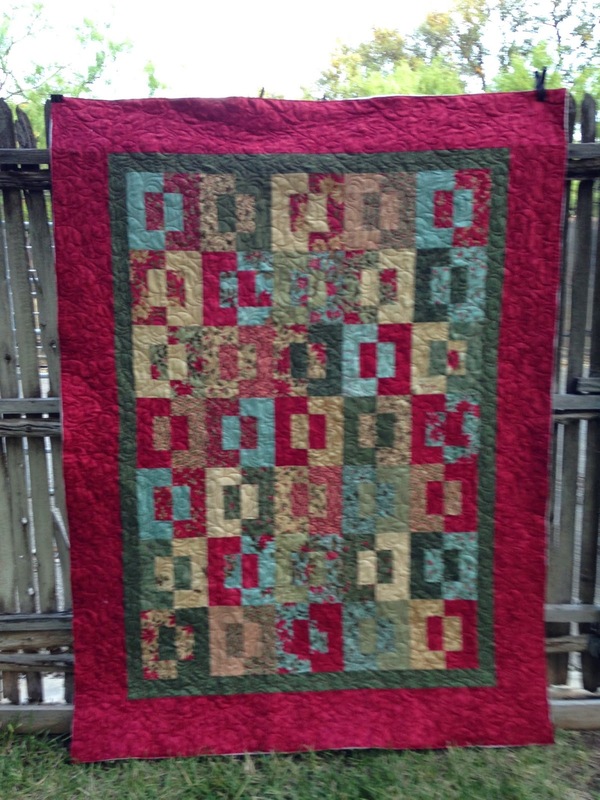 Those are some beautiful quilts Doris and Your quilting is beautiful on each one ! 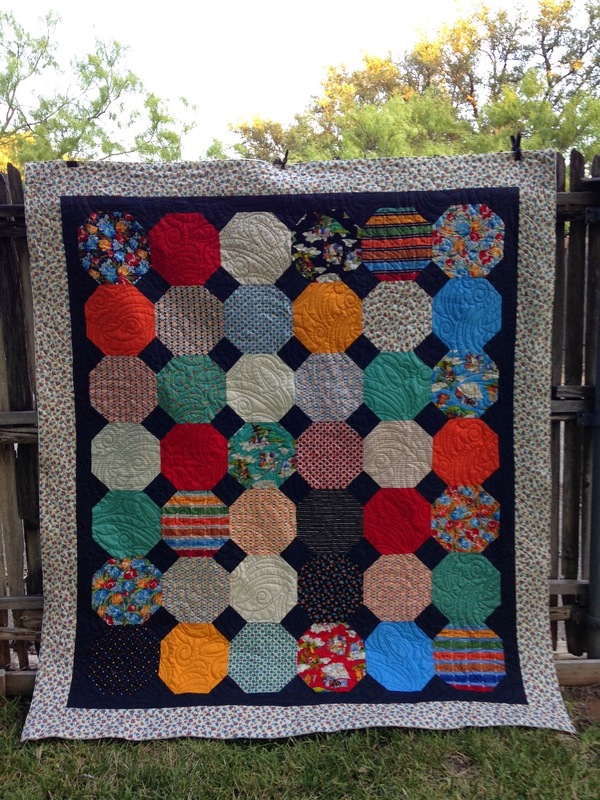 You sure have been busy quilting! 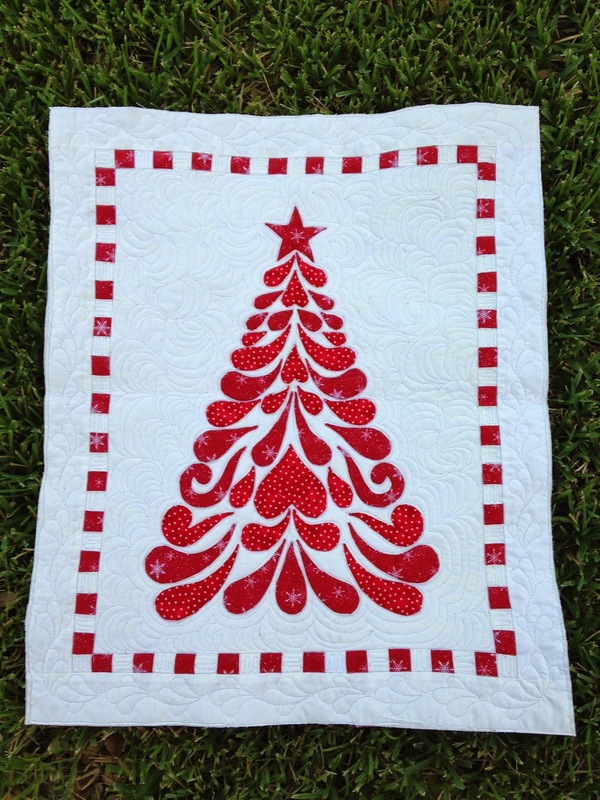 Love all of them, but the Holly quilting is my fave. Nice work, Doris!